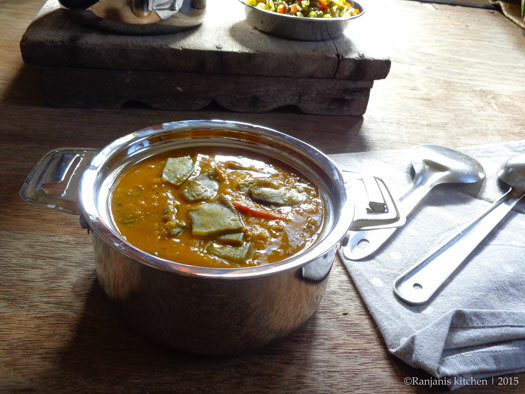 Avarakai sambar recipe – prepared on same procedure as drumstick sambar. Avarakai get cooked on same time similar to drumstick. No sauté needed like brinjal . You can add in cooked dal and slow cook for 8 to 10 mins. Serve with hot rice or idli or dosa or even with chapathi also. Pappad is enough to have as an accompaniment for this flavourful sambar. Potato fry or other veggies poriyal is a best combo to serve for lunch platter. Green chilies – 2 nos. 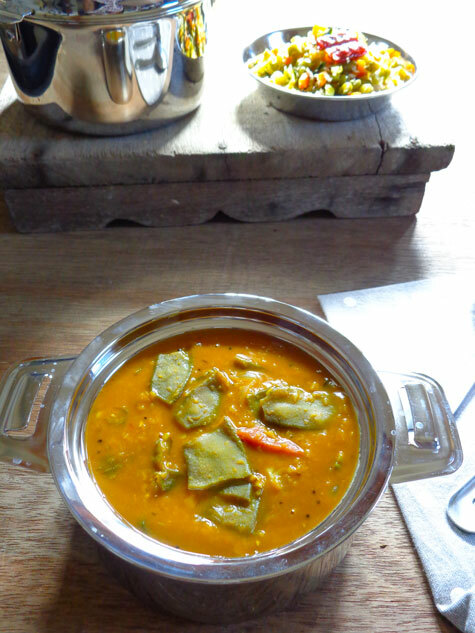 Pressure cook dal with turmeric and asafetida for 4 hisses. Let the pressure releases ,mash well and keep aside. Soak tamarind and salt together in hot water for 15 mins, then squeeze and drain the juice. Mix sambar powder in it and set aside. In a kadai, add cooked dal and chopped avarakai, onions,green chilies, tomatoes and carrot. Cook in low flame till the veggies get cooked fully. Add tamarind and sambar powder mixure and allow to boil for 2 mins and turn off the flame. Heat a seasoning pan, add oil and temper with mustard, urad dal, onions, curry leaves and hing. Pour the seasoning to sambar and add chopped coriander leaves and close with lid. Serve after 10 to 15 mins with hot rice. 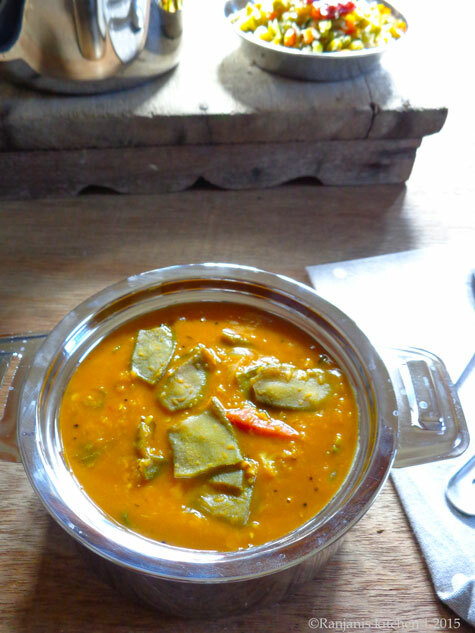 Add 2 tbsp of moong dal along with toor dal, if you want sambar to be in thick consistency.